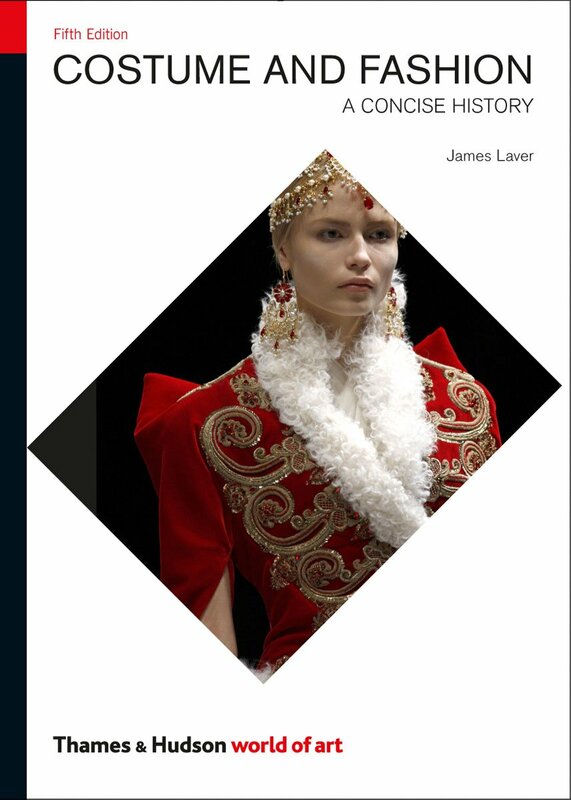 Costume and Fashion (Fifth Edition) (World of Art), by James Laver and Amy de la Haye. An affordable, overall historical, account of costume — starting with Mesopotamia and Egypt an ending in the twenty-first century — Costume and Fashion is great for a fast reference. It is not, however, what I would consider a comprehensive book — there are designers and names I’d like to see in the book, but they aren’t there — but it IS relatively inexpensive and provides primary, secondary and tertiary reference material all in one small book! An easy-to-use fashion history reference. 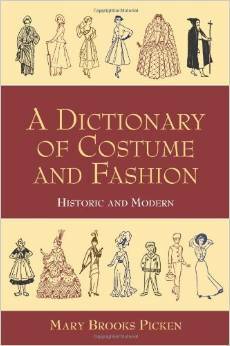 A Dictionary of Costume and Fashion: Historic and Modern, by Mary Brooks Picken. As the title would imply, this book is lot of words. But it’s a nice starting point for a general fashion reference and research. The images are mostly quaint, stylized, black-and-white drawings, instead of photos of extant garments, but there is a section in the middle of Dictionary with black-and-white images of primary and secondary references (albeit, they’re a little difficult to see. One might try taking the information from the captions and doing a search for colored images, if you need them). I like this book because it has everything from silhouette descriptions to a variety of hat shapes and even types of hand stitches, so it is pretty thorough in its overall content. 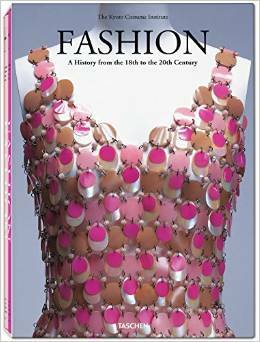 Fashion: A History from the 18th to the 20th Century (2 Volume Set), by The Kyoto Costume Institute. This set of books have full-color images of extant garments galore! A great reference for drawing and design of Western garments, Japan’s Kyoto Costume institute never fails to inspire with its amazing images and information. They also have a really amazing online archive available. This IS technically a two-book set, but they just couldn’t have fit all that awesome into a single book (it would be SUPER unwieldy). This book is like candy to me. 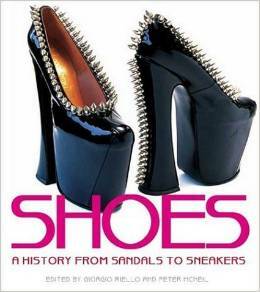 Shoes: A History from Sandals to Sneakers, edited by Giorgio Riello and Peter McNeil. Love ’em or hate ’em, shoes have a fascinating historical context. This text has beautiful color images in addition to text explaining everything from, well, sandals to sneakers. Vintage advertisements, shoes in relation to art history, diagrams of famous shoemakers’ designs and photographs of all sorts of footwear are all included in this delightful book. The Corset: A Cultural History, by Valerie Steele. Just like the stiletto shoe, corsets seem to have a polarizing effect on people. Whether or not you find corsets beautiful or barbaric, however, there is an engrossing history behind the garment. 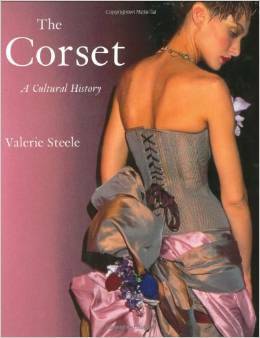 Written by the grand dame of costume history and director of the Museum at the Fashion Institute of Technology in New York City, herself, Valerie Steele, The Corset is a well- crafted a thoughtfully-researched book. The text broaches the garment’s historical journey through its modern incarnations and the cultural implications in-between. Valerie Steele? Of corset’s a great book! This list could continue ad nauseam, but five books will suffice for the time-being. 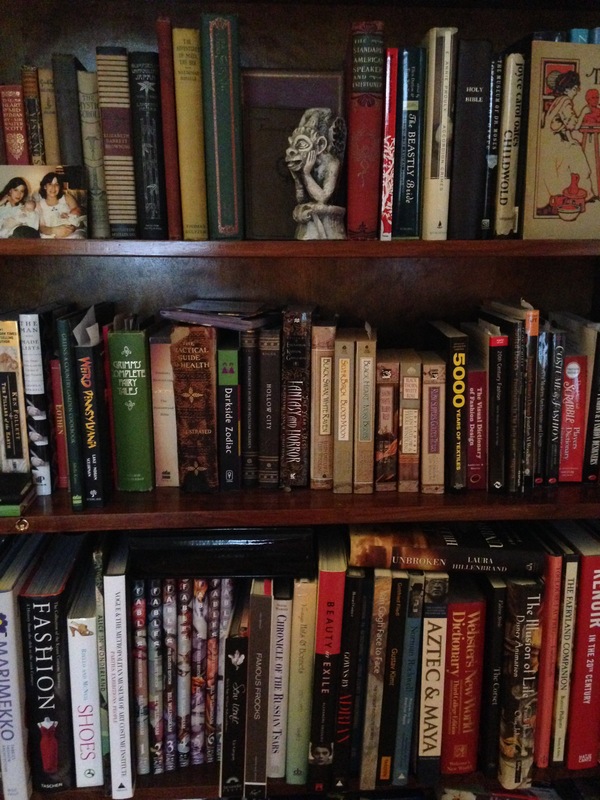 Also, I am always looking for new books to explore, and am especially interested in expanding my fashion knowledge to outside the Eurocentric realm of most publications, so if you have suggestions, please do leave a comment below!